It’s summer, which means it’s time for fun! There are many pictures in the Digital Commonwealth showing how people celebrated summer in Massachusetts in the past. 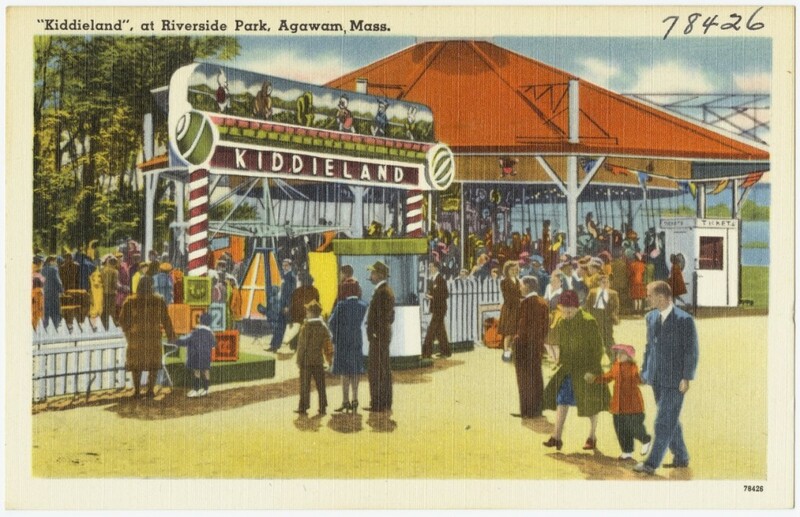 Amusement parks were popular with people of all ages, offering rides and attractions from the Merry-Go-Round for the young and faint of heart to the Roller Coaster for the brave, and Massachusetts had several amusement parks in different parts of the state, often located or or near the waterfront. 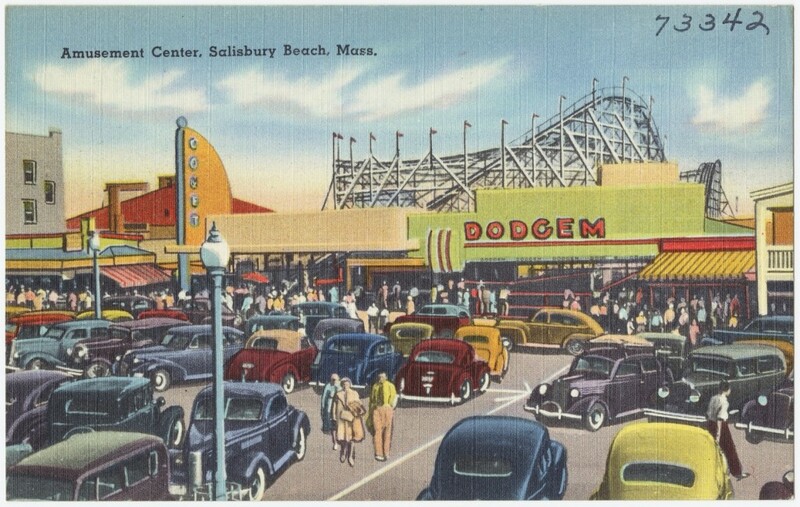 Salisbury Beach developed a thriving entertainment center in the early 20th century, with hotels, a carousel and roller coasters as well as the Dodgem (bumper car) ride seen in this postcard. The amusement business declined after the 1960s, and the last roller coaster was pulled down in 1976. Revere Beach was founded in 1895 as the first public beach in the United States, but the beach had become popular twenty years earlier when the narrow-gauge Boston, Revere Beach and Lynn Railroad was established, making the beach accessible to Boston residents. 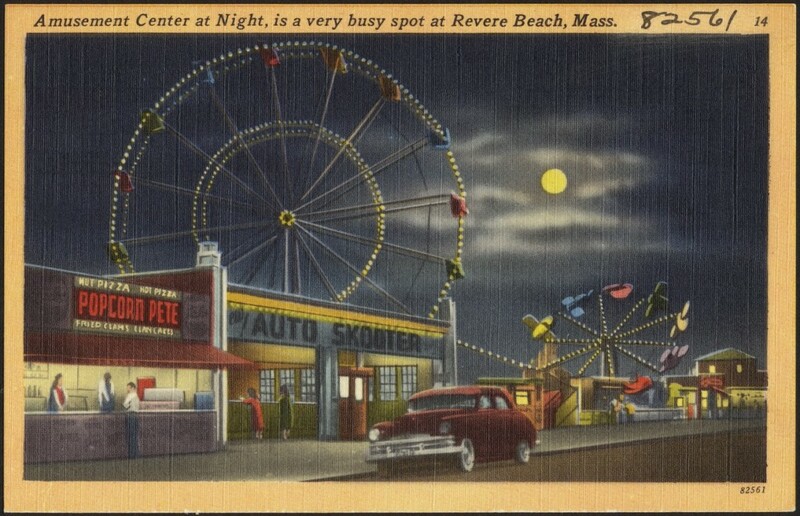 Revere Beach became celebrated for its roller coasters, ballrooms, roller skating rinks and music broadcasts. The popularity of these attractions declined in the 1960s and 70s, and the Blizzard of 1978 destroyed many of the remaining businesses, abandoned buildings and the sea wall. White City from Bridge, Worcester, Mass. 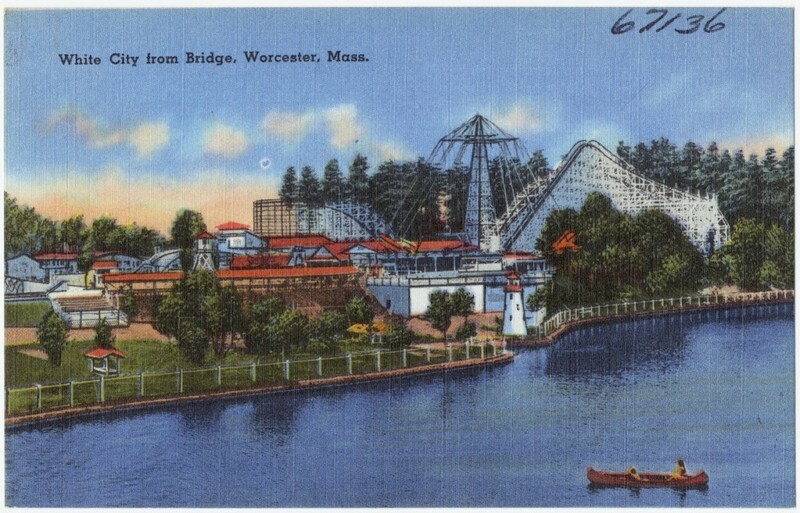 White City was an amusement park located on the Shrewsbury shore of Lake Quinsigamond, across the lake from Worcester from 1905-1960. It was at located at the end of a trolley line, making it accessible to Worcester residents, and its attractions included boat rides on the lake and diving horses. Nantasket Avenue showing Hotel Nantasket, Paragon Park and the Waiting Room from Fishermen’s Cove, Nantasket Beach, Mass. The town of Hull is on the Nantasket Peninsula, which is the southern land point at the entrance to Boston Harbor. 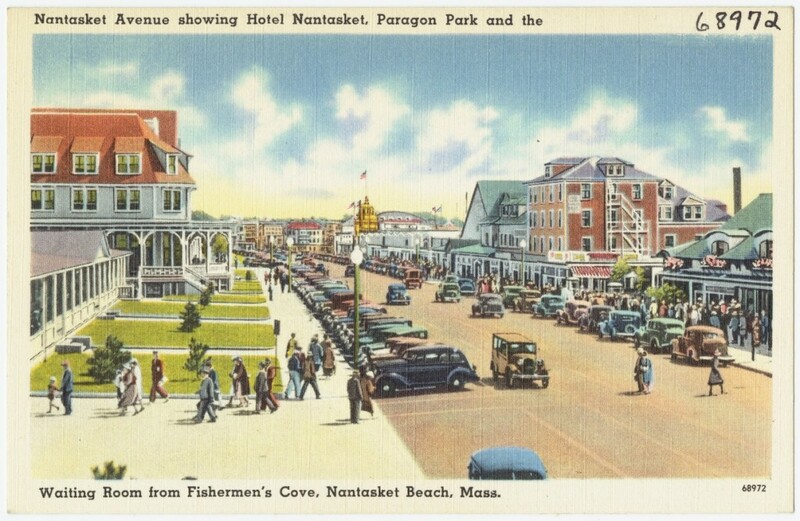 Nantasket Beach became a popular vacation spot in the first half of the 19th century, and in the 1840s steamboats made three trips a day between Nantasket Beach and Boston. Paragon Park was opened in 1905, adding to the entertainment options of the area. Business declined after the 1960s, and Paragon Park closed in 1984. Kiddieland, at Riverside Park, Agawam, Mass.